Many governments and organizations use finance and management training as a tool to promote small and medium enterprise growth in developing countries, but it is not clear whether or how information from these trainings is shared across SMEs operating in the same area. Researchers are evaluating the extent to which firms share information acquired in business skills training programs to assess whether networks of small businesses act as partners or competitors, and by extension, whether such training programs could be redesigned to be more cost-effective. Small and medium enterprises (SMEs) are thought to be an important source of innovation and employment due to their flexibility in responding to new market opportunities and their potential for growth. While an increasing amount of research is focusing on eliminating barriers to SME growth, little is understood about how these firms interact with each other in a market setting. While firms are often assumed to compete with each other, some hypothesize that firms in developing countries tend to collaborate in order to insure themselves against failures in the credit, labor, and input markets. Understanding how firms interact with each other could help governments and other organizations improve training programs designed to support SME growth and save money. If businesses act as partners rather than competitors, then they may share knowledge gained in trainings, and it might be possible to scale back training programs with few adverse effects. Funds saved could be used to expand trainings to other areas or could be diverted to other interventions. This study seeks to understand the network dynamics of small firms by observing the dispersion of information from two types of trainings through the network. One training will help firms develop improved technical skills, which other firms can easily copy. A second training will focus on finance and management practices, which are not easy for other business to emulate, unless the training participants choose to share the information. If firms work together as partners, trying to maximize profit as a whole, there should be little difference in the sharing of technical and financial skills. However, if firms are competing, then technical knowledge will likely be dispersed more widely than financial knowledge. In Uganda, small-scale business owners such as shoemakers, caterers, and metal fabricators constitute about 13 percent of employment and absorb 30 percent of new entrants into the labor market. 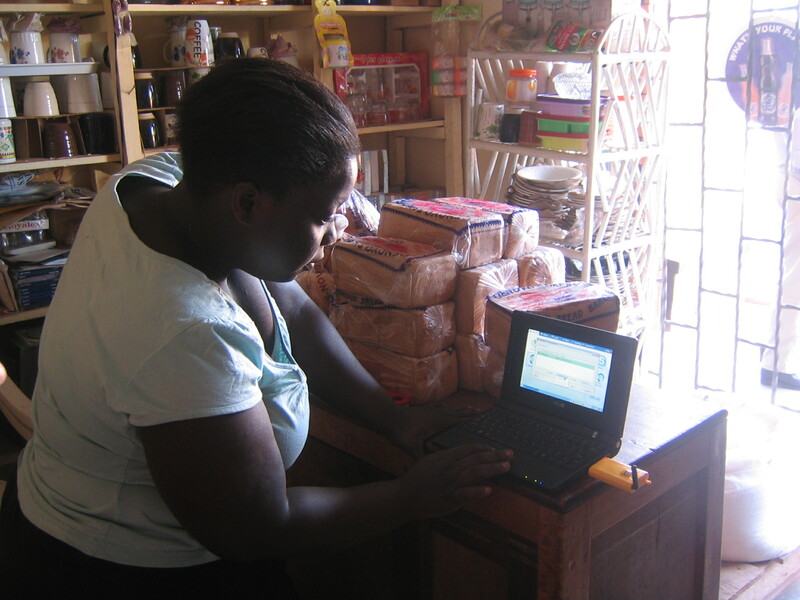 Estimates suggest that nearly 40 percent of Ugandan households own and operate a non-farm household enterprise, and the sector has grown at an average annual rate of 8 percent over the last ten years. Despite this growth, most people operating in this sector do not have formal technical or financial training; instead they rely on old and sometime obsolete production methods and rarely maintain financial or transactional records. Productivity in the sector is low and nearly 50 percent of businesses fail in their first three years of operation. Researchers partnered with Katwe Small Scale Industries Association (KASSIDA), an association comprised of members from nine informal industry sectors, to deliver two training programs to small-scale business owners and workers operating on the outskirts of Kampala, Uganda. One training module was designed to help firms develop improved technical skills, which other firms can easily copy. Participants practiced more efficient, sector-specific production techniques in model workshops. Sessions lasted for 2-3 hours per day and continued for 60 days. A second training module focused on finance and management practices, which are not easy for other business to emulate, unless the training participants choose to share the information. This training covered marketing and customer service, costing and pricing, business planning, bookkeeping, and separation of business and personal life. The business management training was offered to workshop owners only and took place over a period of three months. Businesses were clustered so that a group of businesses either received no training or both trainings. Businesses operating within 20 meters of each other were considered a cluster. A total of 228 clusters were identified, and within this sample, each group was matched with another similar cluster. One cluster in the pair was then randomly allocated to receive both trainings and the other received no training. Surveys to track information transmission and business outcomes such as sales, profit, and number of employees, were completed six, twelve and twenty months after the end of the training.